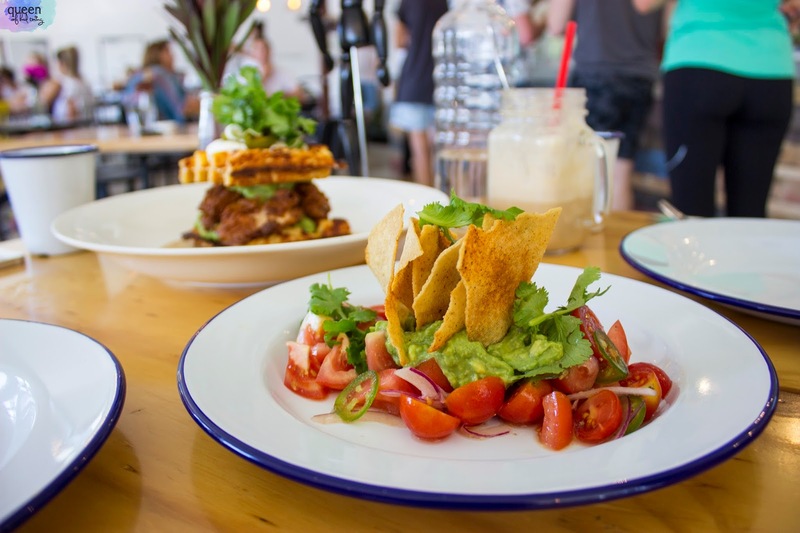 Perth is exploding in the culinary sense. I feel like every week there’s a new place opening, a new knockout dish spamming my Instagram feed, or a new seasonal menu being released. For me as a blogger it’s a really exciting movement but it also creates self-pressure as I try to keep up with whats on offer and also finding time to visit the venues. One relatively new restaurant is May Street Larder, the new offering from Eamonn Sullivan and head chef Scott Bridger (also from Bib & Tucker). 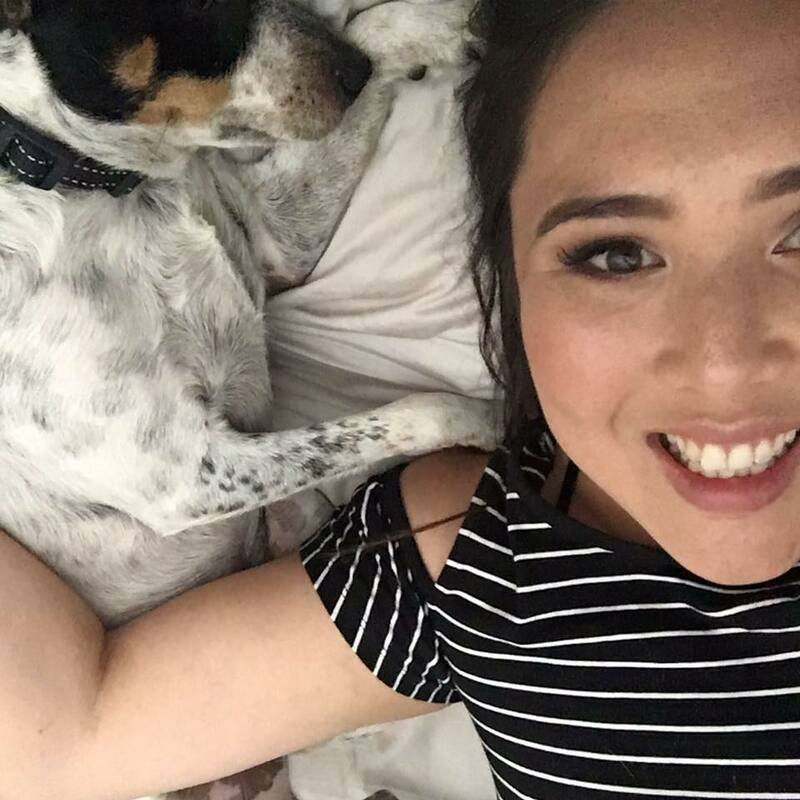 I was too busy to take them up on their offer to attend the launch party, so I made sure to find some time for lunch one weekend with a girlfriend to make up for it. May Street Larder is like a play kitchen for Bridger, with an in-house larder-style deli stocking homemade jams, pickles and meats. They also have coco-whip, which is a coconut water soft serve that’s gluten free, vegan and dairy free. Very suited to the current market of dietary requirement dining. Heading down to Fremantle I had a cheeky look at some of the reviews online to scope out what to order. I was actually really surprised by seeing so much negative feedback, and have to admit I felt a little nervous on how the experience would be! Once we arrived we actually managed to get a table straight away. It was 11.45am which meant the breakfast menu had finished but the lunch was still 15 minutes from being available. 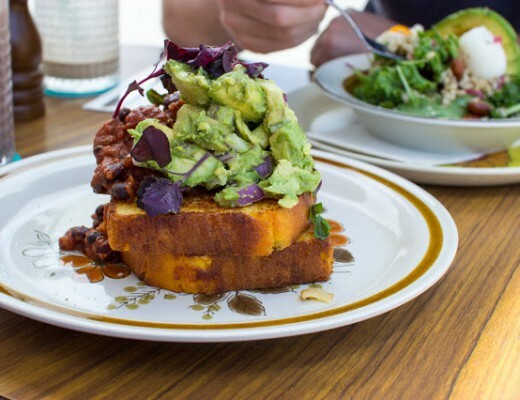 We asked for a menu but were told they were still being printed as the food changes each day – however they reassured us they’d bring out menus when they were available. To their credit, they kept their word! And in the mean time we’d decided to order some drinks to line our bellies and keep the rumbles away. As with most brunch venues you order and pay at the counter, then get a number to take back to your seat. The tables are spread out throughout the airy and light venue, with a combination of stools and chairs available. Both Linda and I try to avoid sitting on stools when we eat (they’re almost never comfortable enough to settle in) – and luckily we manage to nab the last table with chairs. Bright, sunny yellow ones to bring in some extra cheer to the hot day! Our drinks come out around the same time as the menu is made available, so we enjoy the cool refreshment while looking over the food options. 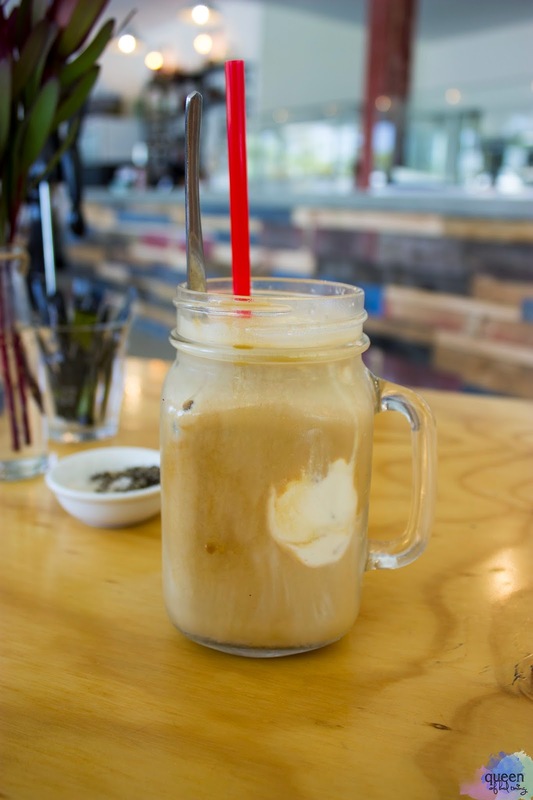 Linda’s iced coffee looks a dream – creamy and swirling with coffee coloured goodness (for those of you love coffee). As is the case with most restaurants right now, it’s served in a mason jar-esque mug but thankfully they’ve used a plastic straw instead of those paper ones which fall apart. My peanut butter and chocolate milkshake… holy hell. It was so good and I do not say that lightly because milkshakes for me are often lacklustre. This one was creamy and thick, the peanut butter flavour strong but not overpowering. It was decadent, just slightly sweet and oh so tasty. I’ll be ordering this again next time I’m in the area! I made my way back to the table once ordering, placing the funky number in a visible corner. 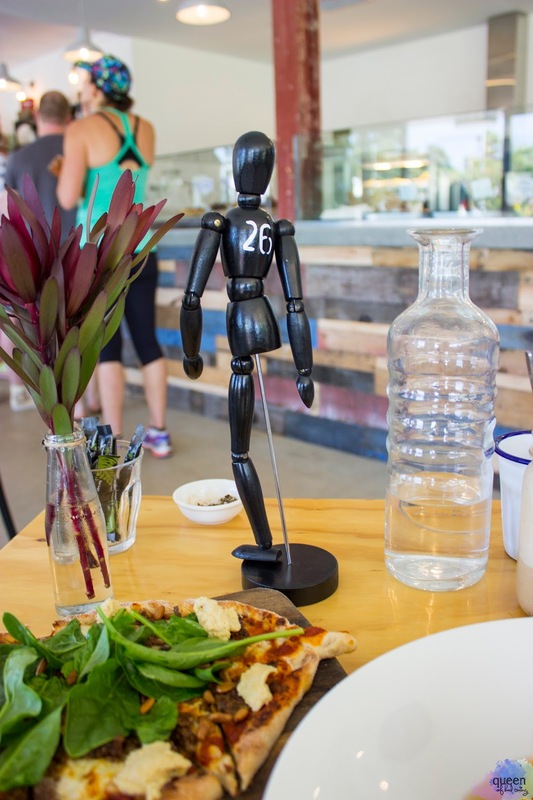 I love the use of the wooden mannequin style dolls even though our poor dining companion had lost one of his legs! Soon after we’re brought out some water and cups. I love the look of those enamel cups and plates but when it comes to drinking they’re not so practical in my eyes. Both of our cups had little rust marks inside, with the enamel coating in Linda’s actually flaking off and floating in the water. When we pointed this out to a staff member passing by she was really quick to replace the cup with fresh water inside too so it was nice to see how responsive they are. 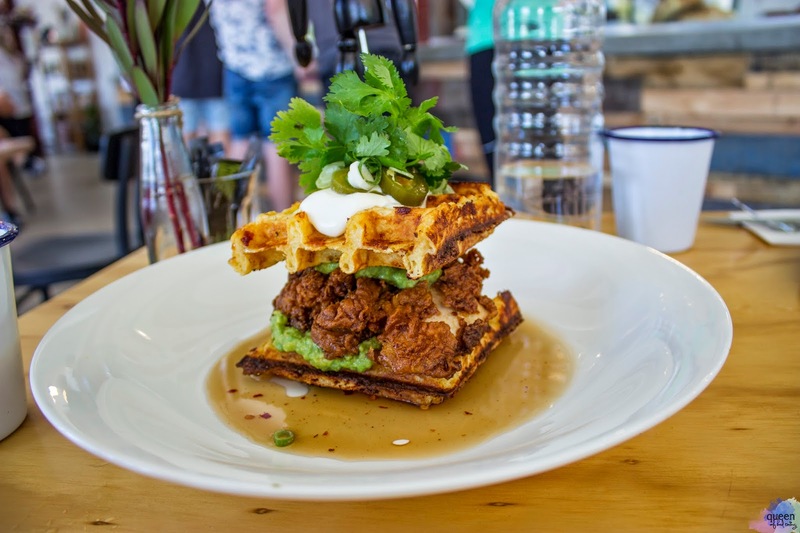 The first dish we dive into is the soul sandwich ($22.00) which is comprised of polenta waffles, buttermilk fried chicken, smashed avocado, smoked sour cream, pickled jalapeño and of course, maple syrup. This was the dish we were both most excited over, and I’m so pleased to say it didn’t disappoint! 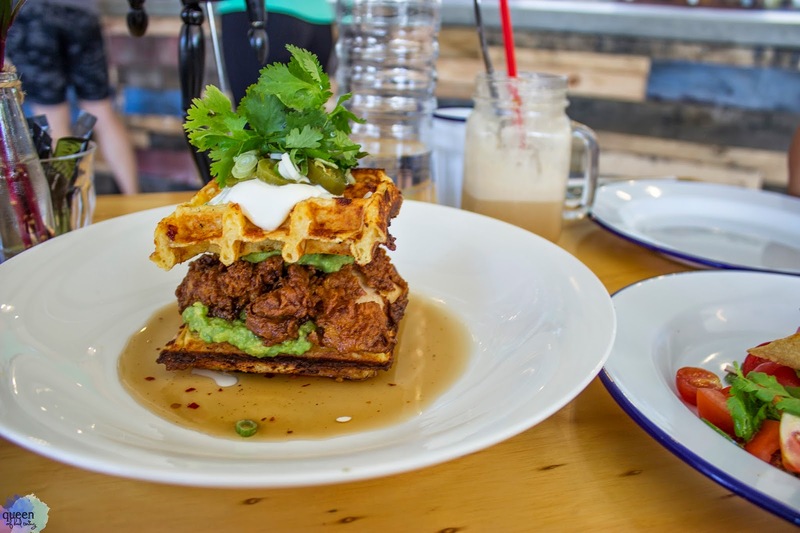 The waffles are tasty – crisp on the edges and soft inside with a mellow polenta flavouring. The buttermilk chicken is the money and definitely shines in this dish, it’s skin is crunchy and well seasoned, with the inside meat juicy and steaming hot. The avocado is greatly needed to bring some creaminess but also some freshness to the dish, and the smoked sour cream is just plain tasty. I really enjoyed this dish, though I’m not sure if I could polish one of these off by myself – I think it suited sharing as it did feel a bit too decadent towards the end. But I would definitely order it again (and again, and again haha). 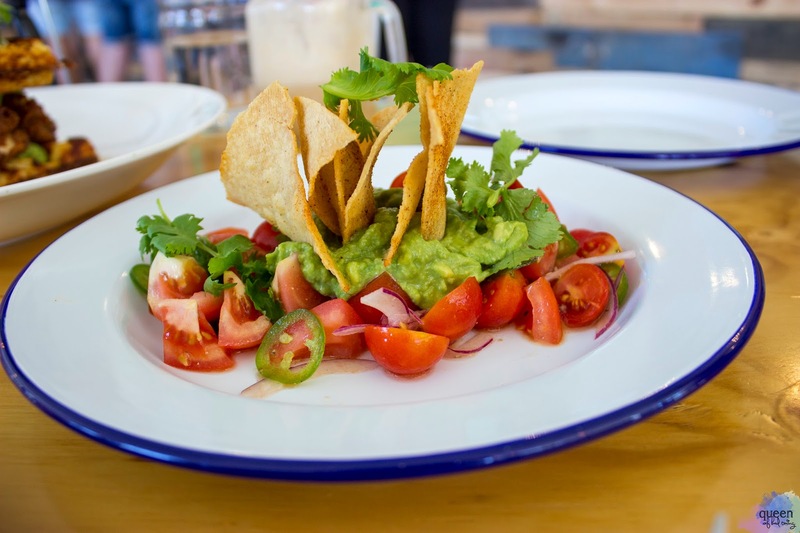 The broken taco salad ($12.00) is one of their four different gluten free salad options and has tomato (a mixture of cherry and larger), red onion, jalapeño, feta, avocado, lime and corn tortilla chips. I actually don’t remember seeing any feta on this dish now that I think about it (because I do love my cheeses!) but what I did taste was all delicious and delightful. It’s a really fresh dish, well balanced and playful. It wasn’t visually what I expected but it really packed a punch – the jalapeños had a nice kick of heat! I love anything that involves avocado as it is such a naturally beautiful ingredient that shines on it’s own. I would have liked to see a touch more seasoning on this dish and maybe a few more tortilla chips just so we’d have had enough for all the scooping of ingredients into our mouths. But all up, I thought this was a lovely salad to share. Our final dish is the lamb pide ($22.00) from the pizza menu. 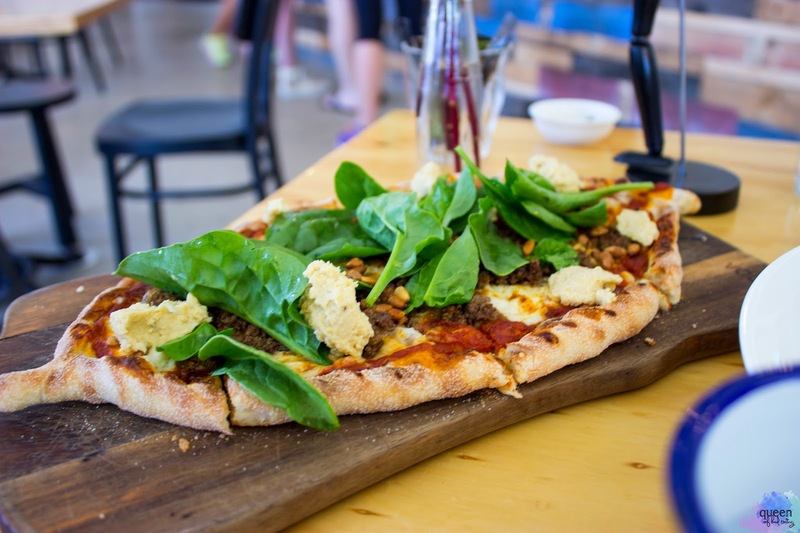 It’s minced lamb, pine nuts, harissa, feta, hummus and fresh spinach. A pide is a Turkish version of pizza, made of a flat bread grilled with toppings. The shape of May Street Larder’s version was spot on and it was nice to see the use of some strong flavoured ingredients. I did find this dish salty, which was surprising considering I couldn’t really see or taste the feta. However the more I ate, the more I found myself getting used to the salt level and there was the creamy, garlicky hummus and the fresh spinach to offset it. 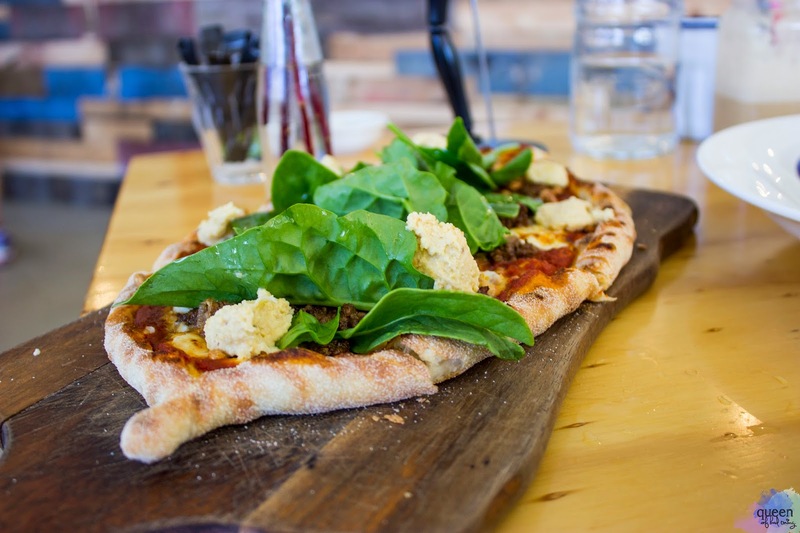 I would have loved to see rocket instead of spinach just because I think it’s such a great vegetable for pizzas thanks to it’s peppery flavour and pleasant texture, however this is more of a personal preference. The one nuts were a great addition, offering some crunch with a neutral flavour. Sadly we were defeated by this dish! We definitely did our best but after the drinks, the waffles and the salad, we had to leave a couple pieces of pizza behind. Whenever Linda and I dine together we’re always overly ambitious in our ordering, but it’s because we both love our food so much. All up I actually really liked May Street Larder, despite some of the negative murmurings. I thought the service was personable, friendly and just attentive enough. The aesthetic is beautiful and bright, I found it quite welcoming and unpretentious. I especially liked the open counter/prep area and the fact that where we sat we could see into the kitchen and watched the chefs at work. I’d like to return and have another milkshake, some more waffles plus try the other dishes on offer. 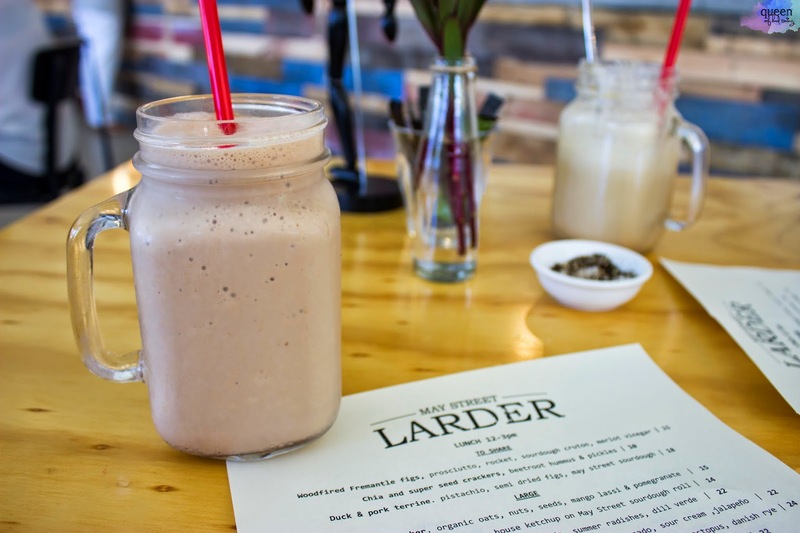 Have you been to May Street Larder? What did you think? I always say, give a restaurant a few months to find their feet so for those of you who had a bad experience, I really hope things are better next time you go because I thought it was a beautiful day out with one of my favourite people in the world. That soul sandwich!! Ahh, we're so craving for it now. Nice balance of flavours! Your photos look seriously good; makes me so so so hungry! That's the idea! Hopefully if you go, you enjoy the food there!